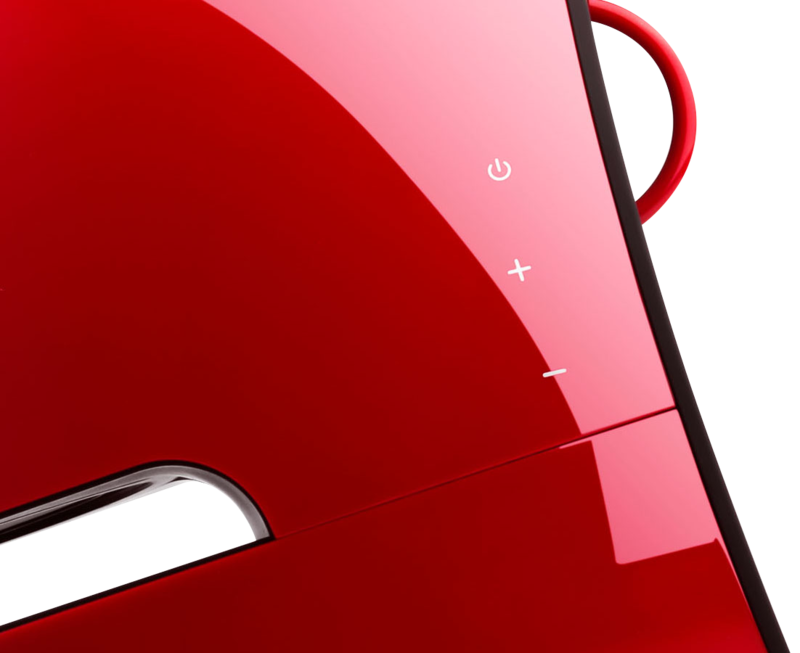 With a signal reception range of up to 30 feet and the use of Bluetooth 4.0 aptX this audio system achieves high-quality sound no matter where you place it. 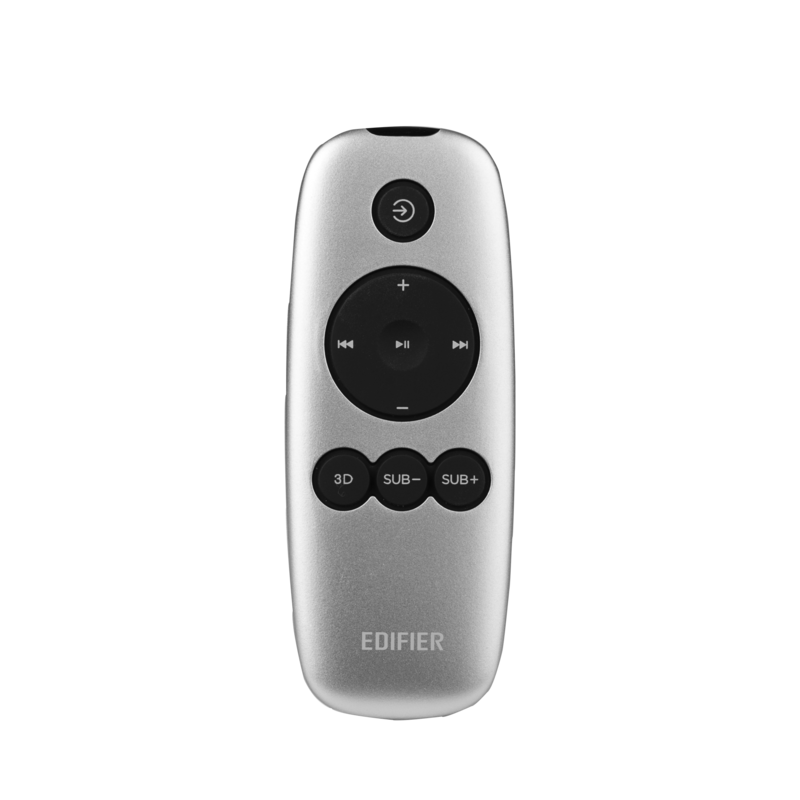 Best of all, it can be controlled from virtually anywhere in your house through your paired device. 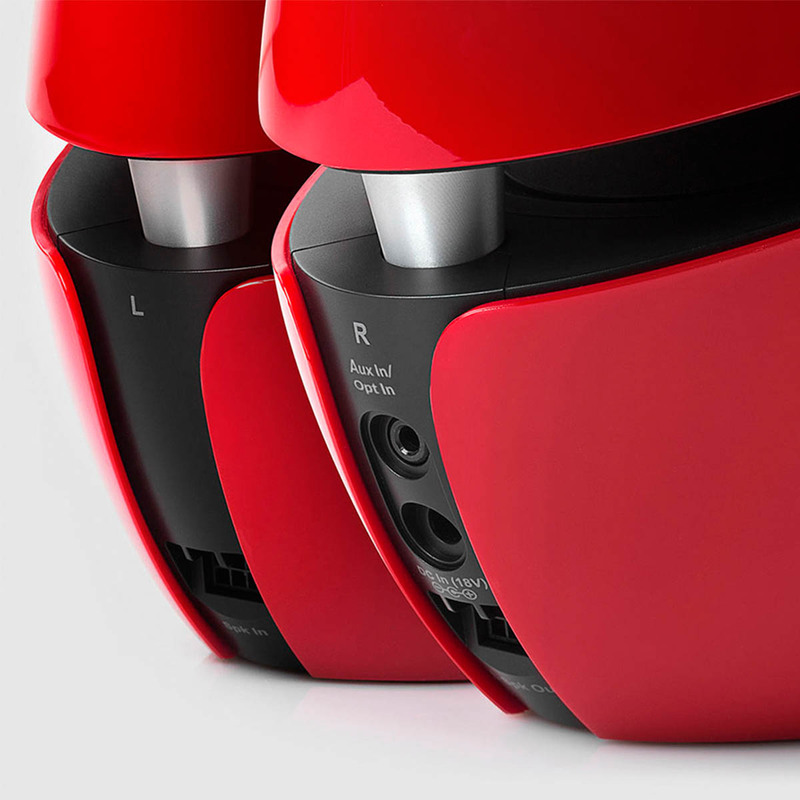 This powerful 2.1 speaker system is THX certified with built-in Digital Signal Processing, Dynamic Range Control and 3D Sound Processing. This model also features connectivity via optical or auxiliary input port. Ideal for your Nintendo, Playstation, or Xbox console. The subwoofer is wirelessly connected at a 5.8GHz radio frequency to its satellite companions. Built with two 8-inch drivers to provide clear, crisp sound. 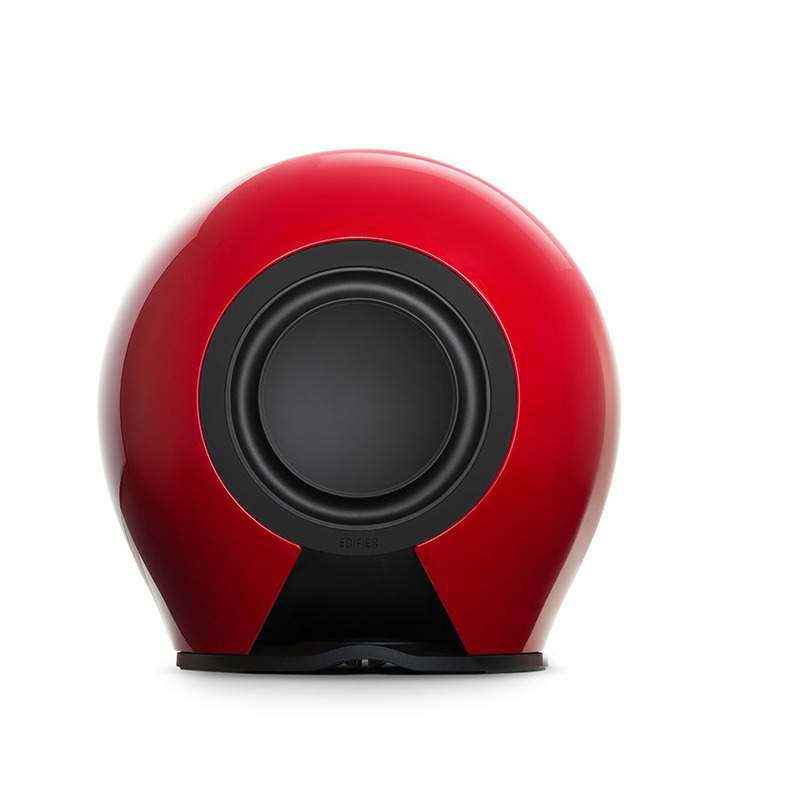 With its 100-watt built-in amplifier, the subwoofer takes your music to the next level, leaving the wires behind. 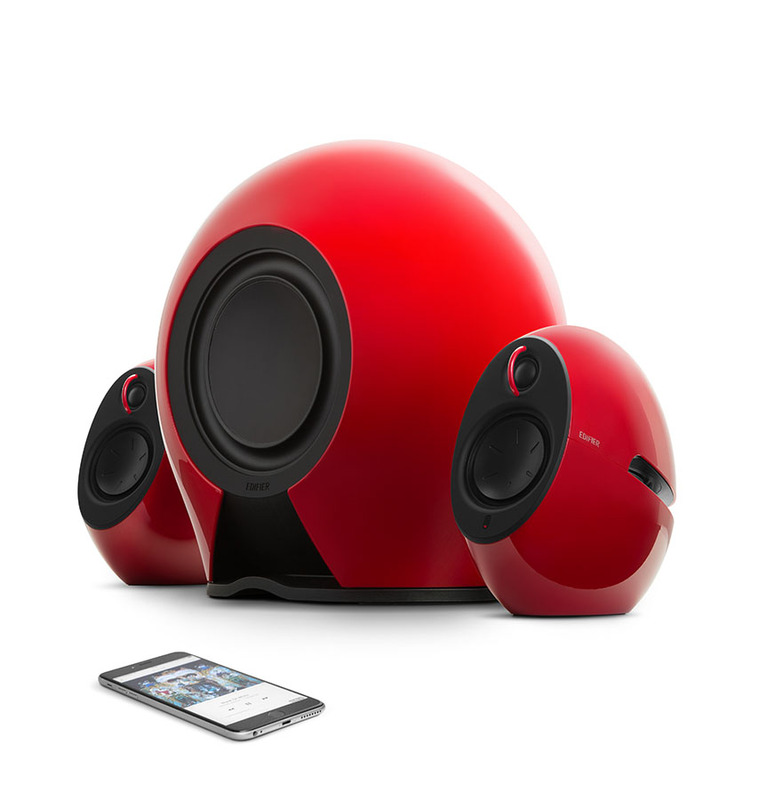 It’s a match made in heaven when combining the subwoofer and the 2-way satellite speakers. 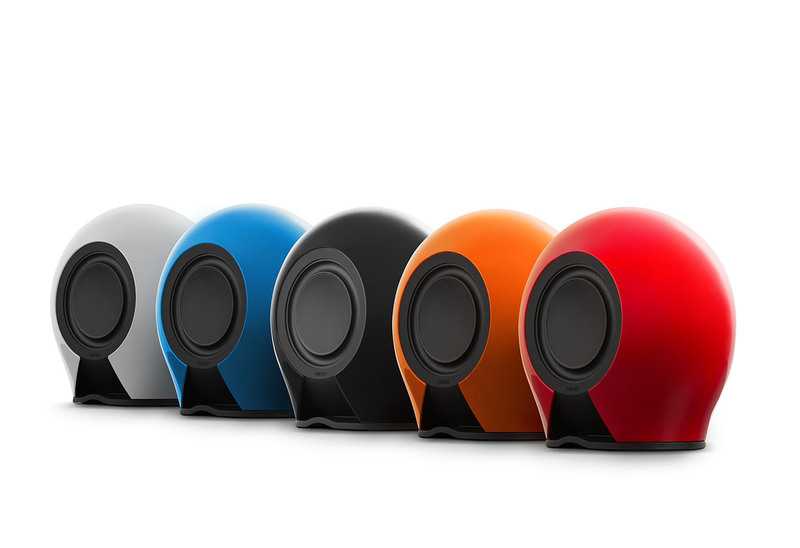 Designed with dual layer housing to provide outstanding sound dampening, this team provides professional sound tuning. 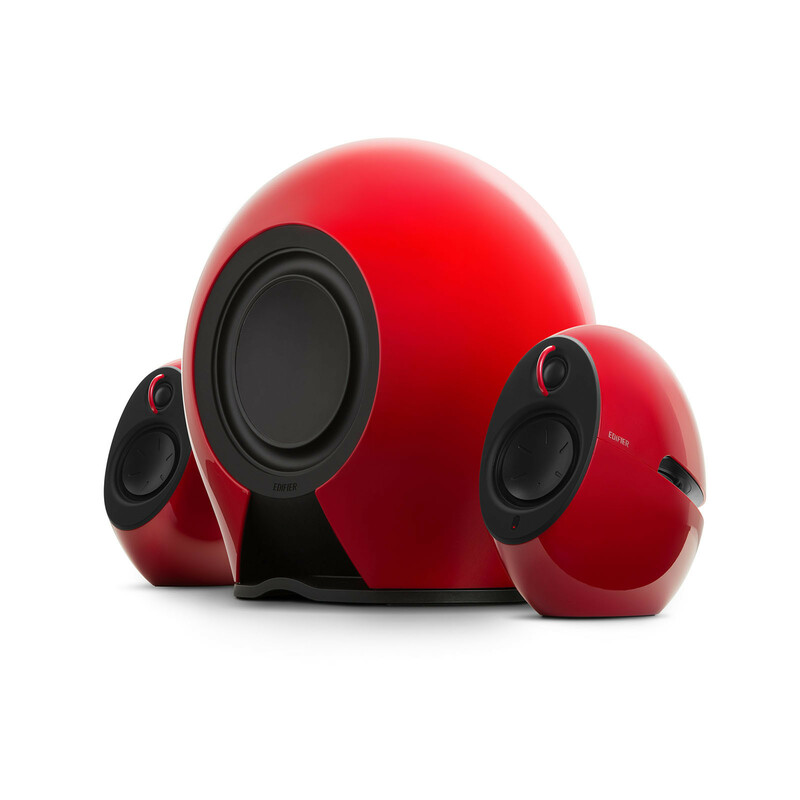 Both satellites are equipped with a ¾” tweeter and a 3-inch driver producing 38w. 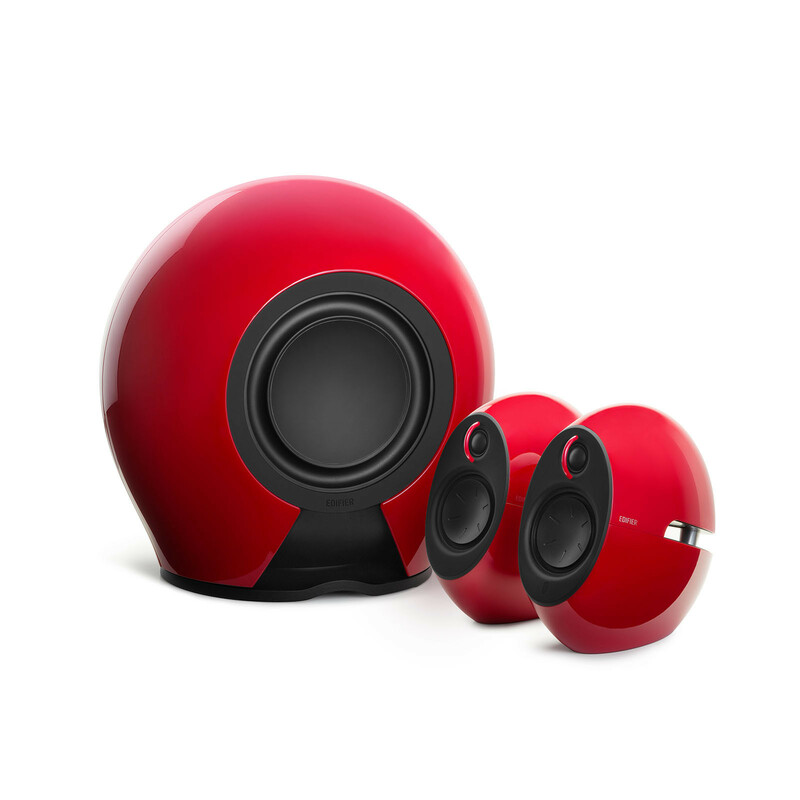 If red is too flashy, the award-winning sound system also comes in black, white, blue and orange to better match your home’s interior design. *Colours may vary by region.